Our legal team is here to help with whatever family transition you’re going through, be it a divorce, custody disputes, parenting plan modification or adoption. We are dedicated to serving you and make sure that we’re thoroughly prepared so that your case has a favorable outcome. When you hire us, we focus on resolving the issues amicably so that everyone, especially the children, benefit from the solution. Not Looking For Family Law? Founded in 1996, Lawrence Law Office serves the greater Columbus, Franklin county and Central Ohio areas. 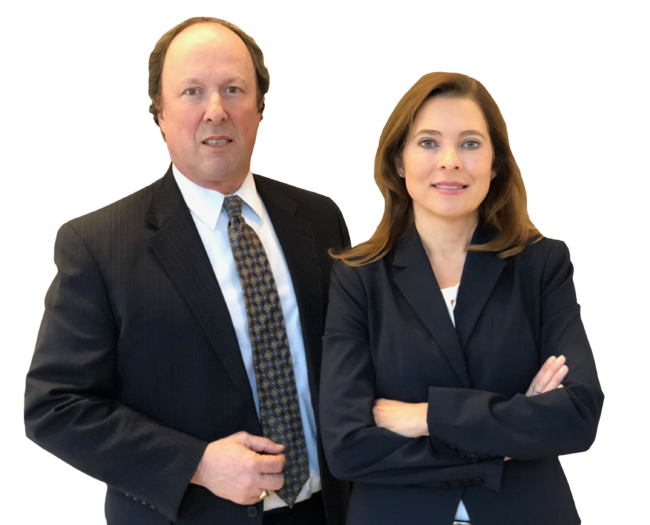 Divorce Attorney, Rodd S. Lawrence and Family Law Certified Specialist, Attorney Linda J. Lawrence, are the founding partners and focus on all aspects of divorce and family law. As experienced Columbus, Ohio family law specialists, we understand the many issues facing today’s couples and families. Whether you’re ready to start your life with your partner or you’re parting ways with someone, we’re here to help you through the legal issues one step at a time. We’re dedicated to serving you and obtaining positive results. Contact us today to schedule a confidential initial consultation with one of our attorneys. In cases with disputes, we always start with negotiation, mediation and collaboration as an alternative to litigation. The litigation process is both costly in terms of time and money and is hard on every member of the family. When necessary we’re not afraid to go to court and aggressively advocate on your behalf. We are dedicated to serving you and make sure that we’re thoroughly prepared so that your case has a favorable outcome. Attorney Rodd S. Lawrence received his Juris Doctorate from the University of Vanderbilt and was admitted to the both the Ohio Bar and the U.S. District Court Southern District of Ohio Bar in 1988. He’s a member of the Columbus Bar Association, Ohio State Bar Association and the American Bar Association. He has more than 20 years of experience practicing real estate and small business law. Attorney Linda J. Lawrence focuses on family law, including divorce, custody, visitation, adoption and prenuptial agreements, estate planning and corporate law. She’s the author of a many articles on estate planning and family law issues. Attorney Linda J. Lawrence received her Juris Doctorate from the University of Cincinnati in 1990 and is an Ohio State Bar Association Board Certified Family Law Specialist. She’s active in the community and serves on the boards of numerous organizations including Grady Hospital Foundation, Franklin County Abused Children Advocacy Board, Lutheran Social Services of Ohio and Delaware Chamber of Commerce. Business First magazine has also listed her as one of the “40 Under 40” outstanding community and business leaders in Columbus. Attorneys Rodd S. and Linda J. Lawrence are the parents of four children.